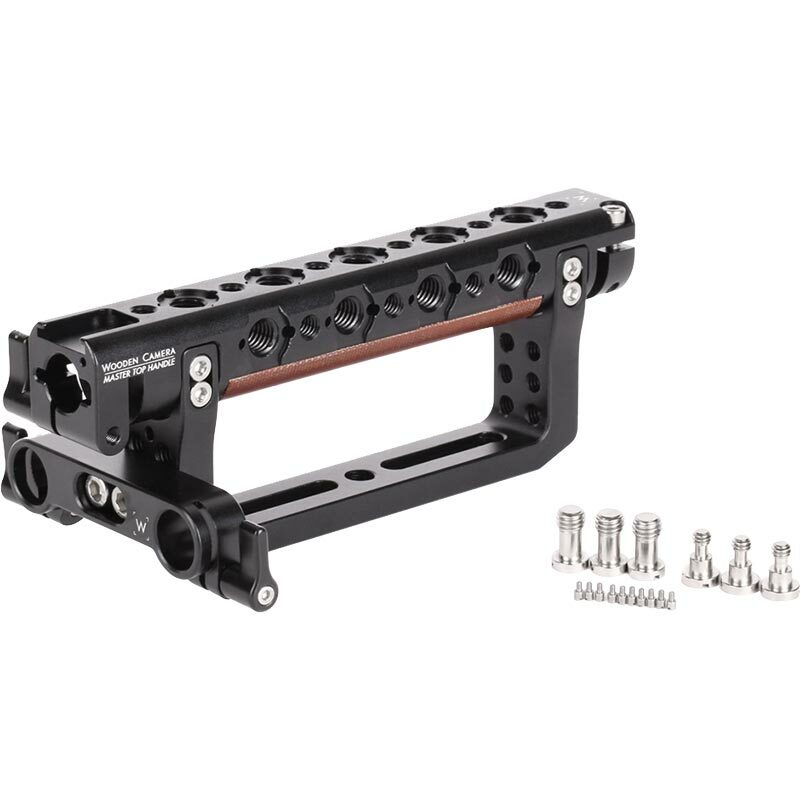 Dimensions: 50.8 x 69.85 x 177.8 mm / 2 x 2.75 x 7"
Master Top Handle (Universal Center Screw Channel)(Main Handle Section Only) is a modular handle system designed for larger camera builds and back of camera operation. 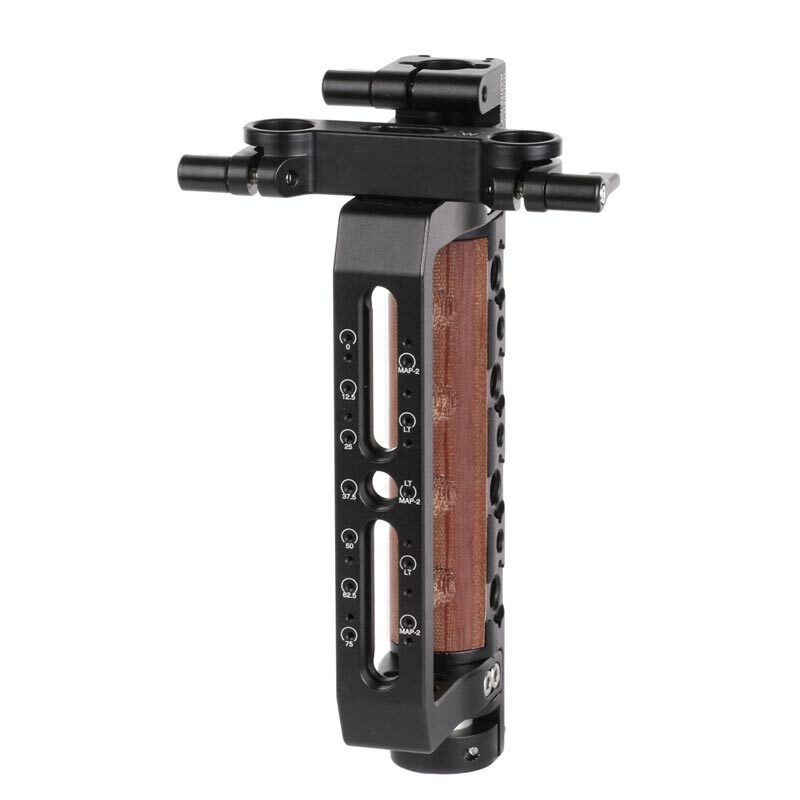 The handle features two center screws channels that can accomodate spacings up to 92mm (3.6 inches) apart and can be installed on a wide variety of cameras. 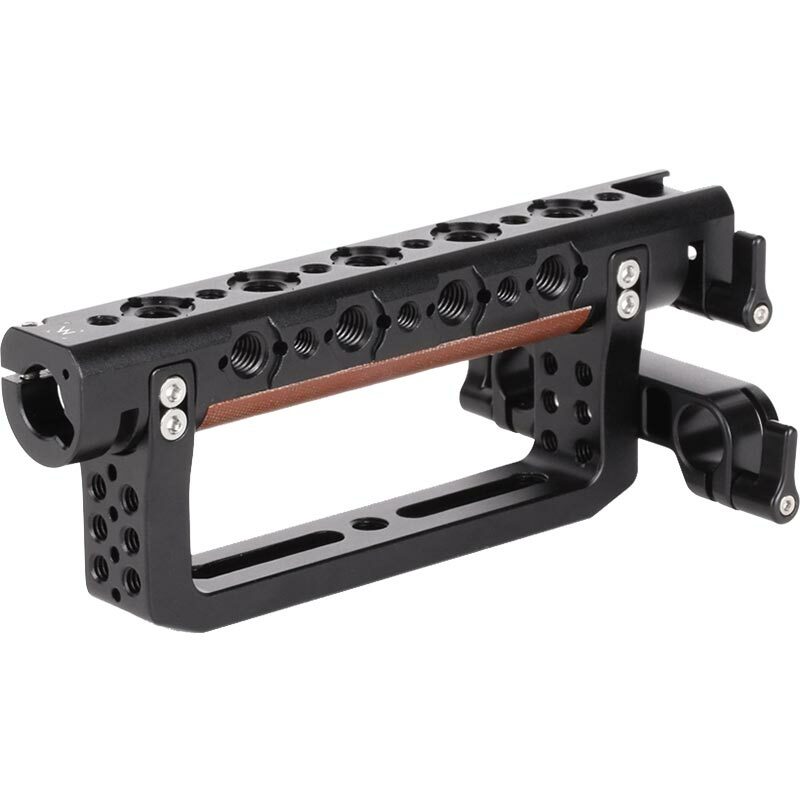 The Master Top Handle attaches to the top of the camera by 1/4-20 or 3/8-16 screws making it extremely secure and ARRI locating pins can be installed to match the MAP-2 on Alexa Mini and Top Plate (VariCam LT). Included in the kit is the main handle section which has a hot shoe mount in front as well as a 15mm rod opening with thumbscrew. Also attached to the front is a 15mm LW rod bracket for adding pass through top rods or our AIR EVF Systems. The rear portion of the handle also features a 15mm opening and is clamped down using an M4 screw. 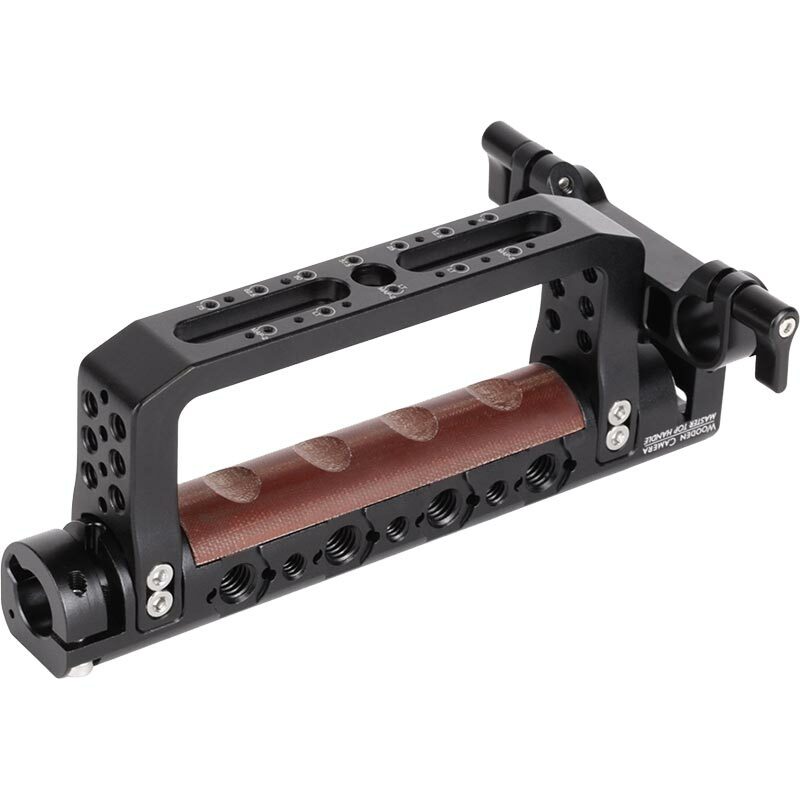 1/4-20 and 3/8-16 mounting points are available on three sides, as well as the ARRI standard accessory mount. Optional extensions are added easily and securely by aligning the tab and slot during insertion, rotating clockwise, and then pushing in again. This multi-action attachment method prevents the extensions from accidentally being removed. Once pushed into place, simply tighten the screw to keep it locked in position.